Who is Siem Reap A La Carte ? Wether you are seeking distant horizons, unique trips, or simply one or more days with a difference, off the beaten track, Siem Reap A La Carte will be pleased to help you work out private and personalized itineraries to discover little-known sites and immerse you in Khmer culture and traditions. Wether you are looking for harmony and balance between body, soul and environment or an idyllic setting to celebrate a romantic and exceptional honeymoon, Siem Reap A La Carte offers you a blend of spirituality, relaxation and a range of activities to really unwind. 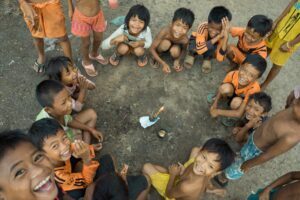 As a family, with friends, solo or in a couple, away from traditional group tours, according to your interests, desires and budget, set off on an authentic and unusual Cambodian odyssey accompanied by experienced French, English or Spanish-speaking guides. You will be able to tone down, spice up, time, accelerate, reverse, mix, lengthen or shorten the programs we put together. Nathalier and Melanie, who have been in Cambodia for several years and now live in Siem Reap, will fulfill your expectations and satisfy the wish to find out for yourselves. Provide us your time frame, the places you would like to visit, activities, type of hosting, etc. 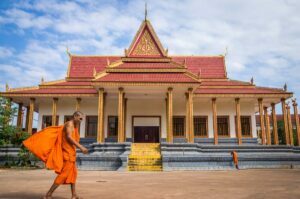 Would it be for your first trip visiting Cambodia main attractions, a trip to lesser known paths or a mix of it, Siem Reap A La Carte will build a tailored itinerary to your wishes. – Hosting from luxury hotels to homestays or private villas with pool. 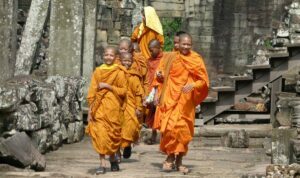 Compared to its neighbouring countries Cambodia is less touristy and offers a lot of authentic and original activities and places to visit. Beside the main Angkor temples, Siem Reap region has a lot more to offer : visit a floating village on the Tonlé Sap lake, take a bicycle and visit the numerous surrounding villages where many of the souvenirs sold in Siem Reap are produced. 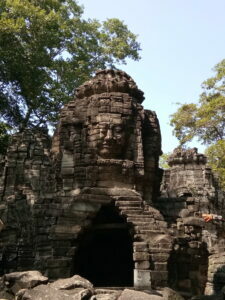 Visit some remote and lesser known temples and historical sites. Southern Cambodia offers a lot of charming beaches and islands, usually less touristy than neighbouring countries. Cambodia has a very rich culture and heritage, far beyond the temples of Angkor alone. Visit the pagodas along the river leading to the Tonlé Sap lake, discover craftsmen who still produce in a traditional way, Prahok factory, lotus weaving, lotus farm. Enjoy a relaxing stop with a view on the rice fields. 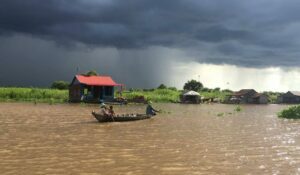 Discover the life on the Tonlé Sap lake, largest lake of South East Asia. Meet its inhabitants unique way of lie. On the way, enjoy the beautiful views of Siem Reap countryside with a lot of photo occasions. 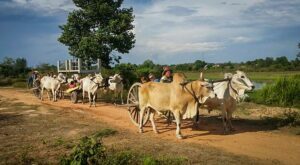 Continue your day enjoying lunch with a Khmer family and visit the surrounding village or visit a Silk farm. 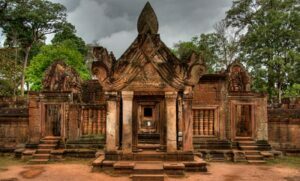 Visit the temple of Banteay Srey (Citadel of the women), Kbal Spean (the river of the thousand Linga). After lunch discover the complex process involved in traditional silk producing and weaving at a silk conservatory farm. Spend a day in a traditional village near Siem Reap, cook typical Khmer dishes, enjoy lunch. Spend the afternoon visiting the surrounding area with an original and authentic mean of transport. 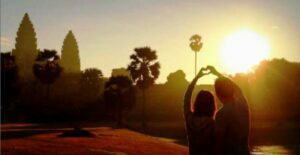 Enjoy an exceptional romantic half day, lunch on the Angkor temples area, romantic visit of some temples with dedicated professional photographer. Enjoy sunset on a Khmer style gondola and dinner by the candlelight in an exceptional setting. Choose from a variety of activities for the young and older ones, we organise your day, transportation, lunch, etc to your desires. 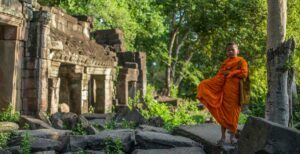 Escape from the busy Siem Reap visiting the nearby Banteay Menchay province, visit lesser known remote temples. Banteay Chhmar, XIIIth century architectural marvel and nearby historical places, discover life in the Cambodian countryside, enjoy a night in a local homestay. Discover the remote and lesser known temple of Banteay Chhmar, located in a preserved environment. Enjoy lunch at the foot of this XIIIth century architectural marvel. Receive our promotional offers and stay informed of our news in Cambodia.